March 30 is World Bipolar Day, an event held each year on the birthday of Vincent Van Gogh. Not only is Van Gogh one of the world’s most celebrated painters — more than 50 years after his death in 1890, he is thought to have lived with bipolar disorder. Bipolar disorder can seriously affect a person’s wellbeing and quality of life. This is not only because of the effects on mood and general mental health, but also because of the stigma experienced by many people living with the condition. One of the objectives of World Bipolar Day therefore is to use education and awareness to eliminate the stigma. To that end, here are some things you may not have known about bipolar disorder — or things you may have thought were true. Bipolar disorder is a brain condition that can affect mood. It was previously called manic depression and can cause extended “ups and downs” in energy levels and general outlook. A person with bipolar disorder might feel “hyped up” for an extended period and may feel they need less sleep, have trouble controlling their impulses (jumping to conclusions, impulsively deciding to do things, spending and buying, etc. ), and may have trouble focussing. In severe cases, they may lose touch with reality. Feeling this way for an extended period is known as a manic episode. It is usually followed by a similarly period of feeling “down”. This is often in the form of an extended period of depression. A person experiencing an episode may feel excessively angry, irritable, have a distinct lack energy, or lose interest in things they normally enjoy. In serious cases, they may feel unable to get out of bed or may have suicidal thoughts. Bipolar disorder is a problem when it affects someone’s relationship with family and friends, their ability to work, and their capacity to do day-to-day things. An estimated 1 in 50 Australians (1.8 per cent) will experience bipolar disorder in their lifetime. Bipolar disorder diagnoses are less common than depression and anxiety. This is one of the reasons why people with bipolar disorder are more likely to be stigmatised and excluded socially. Here are some common things that people believe about bipolar disorder. You might be surprised by what you find. Bipolar disorder type I: this is when the person has at least one episode of mania (that is, they have abnormally elevated mood or energy levels) and major depressive episodes (they experience low mood, feelings of hopelessness, extreme sadness). Bipolar disorder type II: the person has at least one hypomanic and major depressive episode, but they have no manic episodes. Cyclothymic disorder: the person experiences brief periods of hypomanic and depressive symptoms. Other forms of bipolar disorder: the person experiences bipolar disorder for a range of reasons, including substance / medication-induced; bipolar disorder due to another medical condition; and other specified or unspecified bipolar or related disorder. It is normal to experience ups and downs in mood. Bipolar disorder is different in that the changes in mood are intense and can last for an extended period. A person with bipolar disorder may experience abnormal moods for days or weeks. These feelings are more than just being in a “good” or “bad” mood — they may experience severe depression or mania that may require hospitalisation. 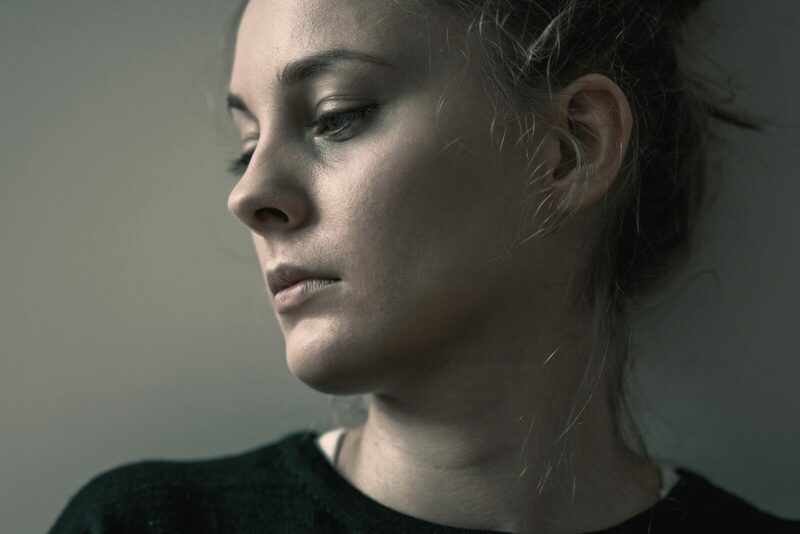 The strength and intensity of the moods experienced by people with bipolar disorder can start to affect a person’s daily life — this is why bipolar is more than just a normal mood swing. The “up” phase of experiencing mania can cause someone with bipolar disorder to feel overexcited, be highly energetic, or even feel like they don’t need sleep for an extended period. However, during this time they may also feel irrational, edgy, restless and not in control. A person experiencing an episode may say or do things that they regret. For example, they might make big decisions on the cusp of the moment, spend money unnecessarily or engage in risky sexual behaviour. In serious cases, they may even lose touch with reality or believe they have special powers. Although schizophrenia shares a number of common symptoms with bipolar disorder, the two conditions are different. Schizophrenia is a mental illness that affects a person’s thoughts, behaviour and perception. It can affect how they understand reality, affect speech, cause hallucinations and delusions, and may affect how they move physically. Bipolar disorder, on the other hand, causes extreme changes in mood (with at least one episode of mania or hypomania) that can last for an extended period. Bipolar disorder can be treated and managed, just like other mental health conditions. Treatment for bipolar disorder involves managing manic and depressive episodes. This is done by reducing their severity and how often they occur. Treatment normally includes medication and psychological therapies. Effective treatment means someone with bipolar disorder can lead a life that is healthy and productive. One of the most distressing things experienced by people with bipolar disorder is the stigma that comes from living with a mental illness. This is despite the fact that some parts of northern, western and central Melbourne have recorded higher than average rates of bipolar disorder. Indeed, one in five Australians experience a mental health condition each year and one in two will do so during their lifetime. In some families, issues such as mental health conditions may not have been openly discussed. In other environments, the idea of depression, anxiety, or other mental health conditions affecting quality of life may be seen as shameful, embarrassing or taboo. Unfortunately, such attitudes mean a serious mental health conditions like bipolar disorder can go unaddressed. A person living with such a condition may therefore continue to experience harm because their mental health condition remains untreated. For this reason, it is important to recognise that someone with bipolar disorder may have trouble putting into words or even recognising what they are feeling. The truth is, talking about it is one of the best things that anyone can do. If you feel you can talk it out with a trusted friend or family member, consider reaching out and letting them know how you feel. Alternatively, phoning or a web chat with a CAREinMIND counsellor can help you manage your stresses and worries. A counsellor is a trained professional who will listen and help you develop a strategy to cope and manage.